June 1, 2018 at 1:23 pm. 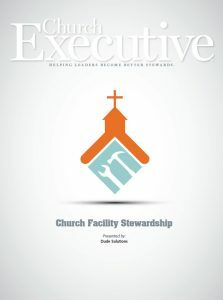 If you’re responsible for the care of your church’s facilities, chances are you face many of the same challenges as others in your field. In fact, I recently surveyed leaders across the country from 200-member congregations to megachurches with 8+ campuses, all in different geographic areas with varying economic makeup. One of my questions was, What are the biggest challenges you face in your job? Interestingly, the correlations weren’t based on size of congregation, if it was multi-site, or if it was located in an urban versus rural area. Generally speaking, they all had the same core challenges. Even in secular organizations, most folks can relate to the sentiment of this statement. However, this particularly hits home for most anyone whose title has “church” in front of it. You have very little control — if any — over your receivables, unless you rent out space during the week, or are running a capital campaign. That’s why it’s so important to get the most out of your resources. Focus on what you can control, which is how those funds should be allocated. Track the costs and time spent on managing your facilities, so you know how to plan going forward. You should also be factoring in capital replacements, based on when their life expectancy ends. Planning for the future is as important as taking care of today. Regardless of your financial situation, do not let your capital reserve suffer. Treat it as another bill that has to be paid every month. Managing a church comes with receiving as many different opinions as there are people involved, about what needs to be done, where money should be spent, etc. It can be beneficial getting insight from others, but that feedback can become unwelcome when you realize that often everyone won’t agree. How do you get everyone on the same page? Be prepared to tell your story. If you have competing projects, what is going to have the biggest financial impact long-term? Why? What are the consequences of waiting? Many will gravitate towards the cosmetic changes, which is important from a first-impressions standpoint, but you have to be honest about what the financial impact will be of deferring other projects. Be prepared to shed insight and present data behind these variables. Whether your religious organization has full-time operations staff or part-time, or a mix of both, you need to ensure you’re making the most of their time and effort. What tools do you give your team to take ownership over their work? What kind of corrective action are you taking for those who are under-performing? What are you doing to recognize those who are over-performing? Do you have any way of knowing who’s doing what? Give them an incentive to take ownership of their work. There should always be a layer of accountability to work with the ones who need help. 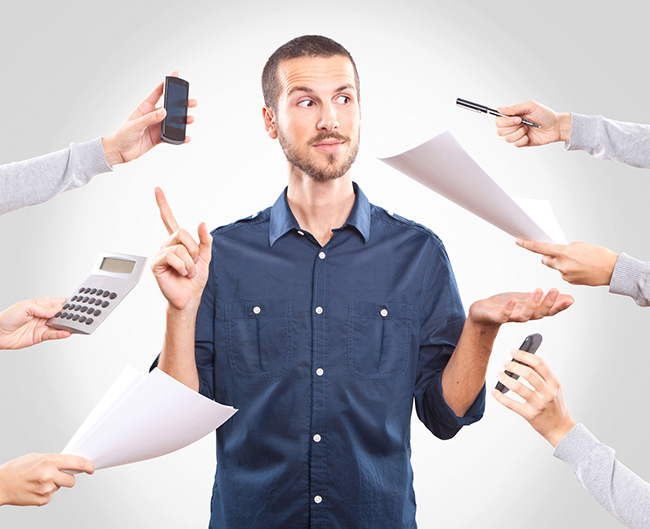 Don’t punish the overachievers by overworking them, as this will result in burnout. If you work in a church, you probably wear multiple hats — and at some point, you’ll be asked to wear more. Understanding what you can actually take on without your existing responsibilities suffering and becoming a disservice to the church is important. Assign more responsibility to those who can handle it, so long as they are not already overworked, and automate as many processes as possible. This will allow you to take on a high-level role, and you won’t have to spend so much time in the day-to-day processes. If you manage a smaller church, you can still automate a lot of your processes to help clear up some of your own head space. When prioritizing resources, it’s important to think about the short- and long-term financial impact, the effects on existing staff and future staffing needs, as well as opportunities to streamline current and new processes to become more efficient. With a plan for the future, you’ll be able to more easily overcome the operational challenges you face today. Donovan Loomis has more than four years of experience in church facility management and serves as Dude Solutions’ Industry Specialist, focusing solely on places of worship. He graduated with a BS degree in 2012 from East Carolina University.